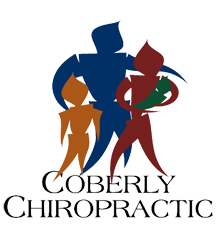 Chiropractic Patients Have 90% Reduction in Migraine Frequency – Coberly Chiropractic, Inc. Many patients rely on pain medications to manage migraines but did you know those medications may actually be causing you more headaches? A recent study found that medication overuse causes daily headaches in 1 in 50 people. Fortunately, there are natural treatment options that don’t put you at risk for worsening head pain. Cases studies have suggested that chiropractic is beneficial for migraine treatment in pregnant women and children but a 2000 study was one of the the first randomized, controlled trials assessing the efficacy of chiropractic for migraine. The study involved 127 participants between the ages of 10 and 70. All had been diagnosed with migraines, and had a minimum of at least one migraine per month. Half of the patients received chiropractic treatments, while the other half served as a control group. Treatment consisted of two months of chiropractic spinal manipulations, with a maximum of 16 treatments. Over the course of the study, participants completed headache diaries noting the frequency, intensity, duration, disability, associated symptoms, and medication use for each migraine. The treatment group showed statistically significant improvements in average responses for migraine frequency, duration, disability, and medication use when compared to the control group. Twenty-two percent of participants reported more than a 90% reduction of migraines after the 2 months of treatment. The results of this study support previous information that some people report significant improvement in their migraines after chiropractic spinal manipulation. Given that a high percentage of people with migraines report stress as a major migraine factor, it appears likely that chiropractic care affects physical conditions related to stress, thereby reducing the effects of the migraine. A more recent study published in 2012 demonstrated that chiropractic care reduced pain severity in migraine patients by an average of 68%. In other words, chiropractic patients had their pain levels drop from an average of 5 to 0.5 on scale of 1 to 10.